As a healthcare professional, your focus is your patients. You may not think too much about e-marketing or social media, but you should know that social media is one of the most powerful marketing tools today for most businesses, including physicians. 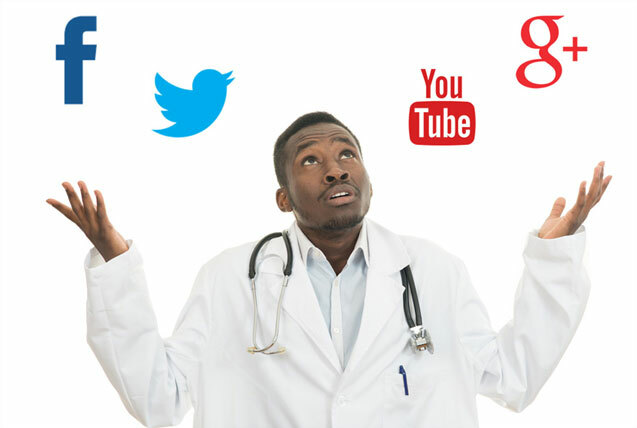 Many physicians, however, do not use social media or are not using it to their full advantage. Here are four common mistakes that doctors are making in social media and what to do about it. If your social media presence is lacking goals and objectives, it is unlikely your efforts will convert to real results. Physicians need to have a clear idea of what they are trying to achieve from social media and how they are going to achieve it. Your Practice Online can help you create and implement a social media strategy to help you achieve your goals. Building a social media presence with engaged followers is not easy. It can take several months of consistent efforts to see results. It’s important to regularly posting useful content. Without consistency, you overlook the opportunity to engage your followers. Your Practice Online can help you create weekly social media posts and schedule them in advance. Although social media is a free marketing platform, it still requires time and money to achieve results. Resources need to be allocated from your marketing budget for social media. Your Practice Online can help you manage your social media accounts and stay within budget. Don’t focus solely on the number of followers on your page. Of course having followers is important, but getting the right followers is what will make a difference to your practice. Your engagement rates will be higher when your followers either like, comment or share your posts. Facebook advertising is a great way to build a following and it allows you to target people with specific demographics, geography and interests. Your Practice Online can create and manage your social media ads to help you reach the right audience.